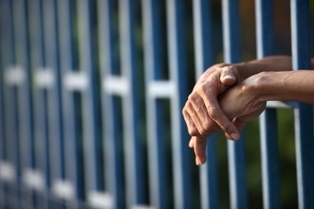 Can I get workers’ compensation benefits if I am injured while performing a job as a prisoner? While New Jersey workers’ compensation law broadly defines who is an employee entitled to benefits, there are exceptions as to what is considered an employee. For example, casual workers hired on a one-time basis or independent contractors are not eligible for workers’ compensation benefits. Another of these situations is where someone is incarcerated and is injured while performing a prison job. This person would most likely not be entitled to workers’ comp benefits under New Jersey law either. An inmate is not considered an employee even if he is performing labor at the time of his injury under New Jersey court decisions. Prisoner services are not viewed as being performed in the constraints of a normal employer-employee relationship. Prisoners cannot be hired or fired, one of the characteristics of a traditional employment relationship. While the general rule is that a prisoner is not entitled to workers’ compensation, it is always a good idea to consult with an experienced workers’ compensation attorney to be certain the prisoner’s situation does not fall into an exception to this exclusion. It is also important to keep in mind that even if an inmate is unable to obtain workers’ compensation benefits while injured on the job, he may have other legal claims for compensation. In addition, a prisoner could also risk losing benefits for a separate job-related injury if he is convicted of a crime and sentenced to prison. If you or a family member is an inmate injured at a prison job or your benefits are being cut off due to an incarceration, call me at 877-360-0183 to schedule a free, no-obligation consultation with a workers' compensation attorney to learn about your possible legal options.